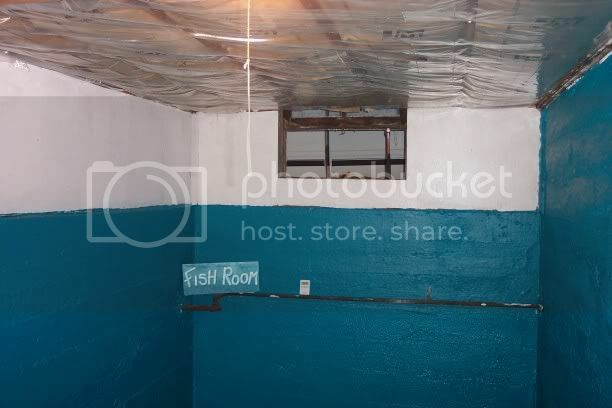 I have been lurking around these boards for some time and have decided to dedicate a new thread to a fish room I am going to start building in my basement. Right now the room is pretty nasty, but should be perfect with a little fixing up. Its located under our porch. The dimensions are 8'x17'. I will need to run electric and plumbing into the room. I'm going to post pictures of its progress starting from square one. Eventually I hope to have a 180 gallon display, 2 grow out tanks, and a water testing station with a small observation/quarantine tank. I will update with pics all along the way. I hope I can keep people interested in this project and am very open to suggestions that you all may have. 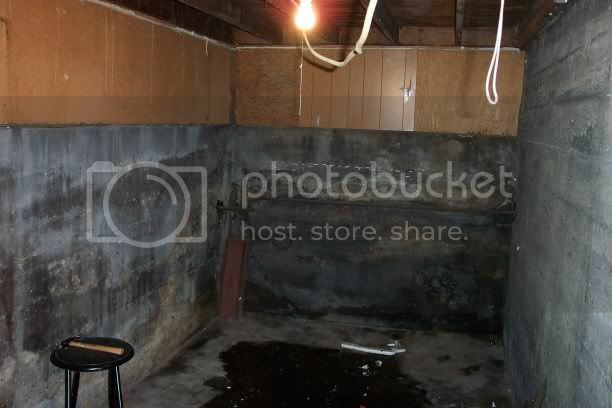 Heres a shot of what I have to work with... its gross. That panelling has to go! Be sure to do "Before" "after" photo's when's it's done! looks like alot of work.. but great potential!! we need more threads like this... keep the pics coming!! OceanNwisconsin wrote: looks like alot of work.. but great potential!! we need more threads like this... keep the pics coming!! 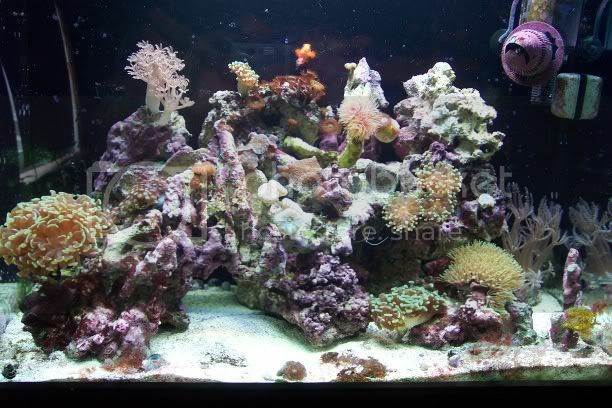 No pics for you until you pick up your coral!! 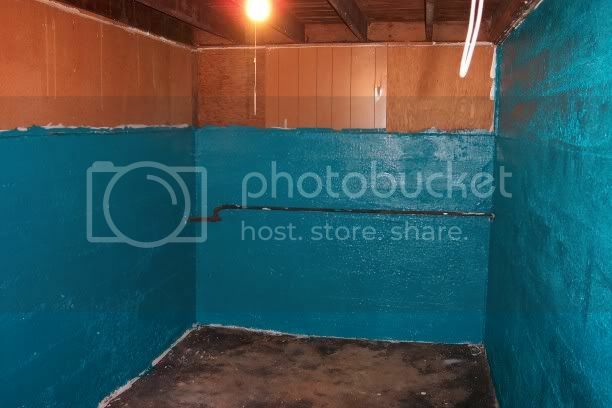 After emptying the shop-vac 30 times I realized some sort of drain/sink is gonna be a must. Prolly gonna paint on the 4th... later all. Looking good! 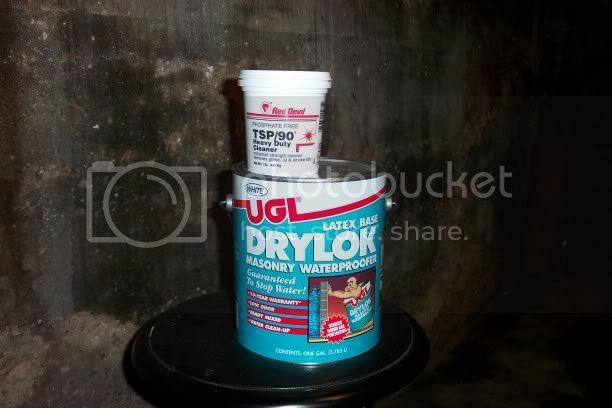 My dad is the midwest sales manager for the company that makes Drylok. It's good stuff! Just remember to stir the heck out of it. 4 cans of Drylock and 2 cans of Kilz primer later and we got to put some paint up. The color is pretty vivid. The rest of the room is gonna be finished out in white beadboard panneling and simple trim. 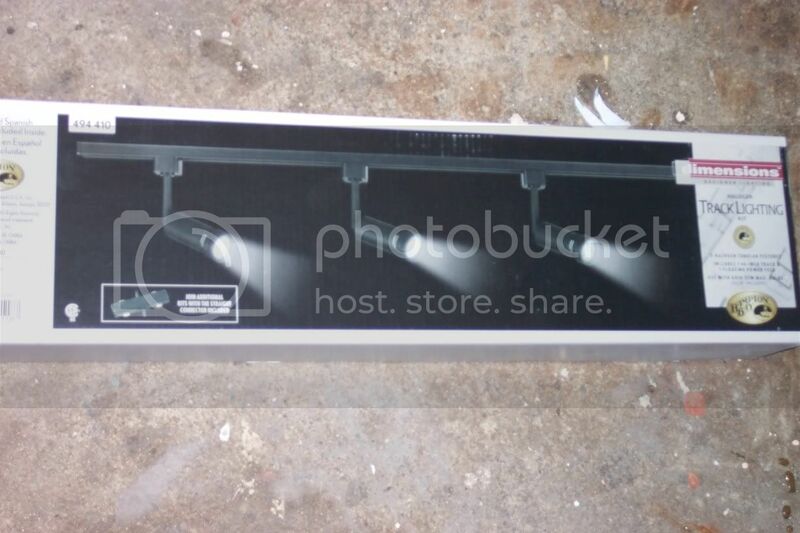 We also picked out the track lighting were gonna use. I decided to insulate/vapor barrier the ceiling tonight. Got that done so I started tearing into the panels and found a window! I was pumped! Prolly gonna throw up some drywall this weekend on the ceiling. I'll take a shot when its done. Later all! good idea on the vapor barrier... and now with that window you could make a nice lil fan vent. A friend of mine in Janesville but an epoxy on the floor in his fishroom. It started pealing after 6 months in the high traffic areas. After seeing that I put down 1' square adhesive tiles down in my fishroom. Very good to know Hazard thanks for that tip. I will look around and see what kind of prices I can get on a material similar to what you used. Did you have to clean the floor with anything in particular before applying the adhesive tiles? I used a chisel to clean any paint or other crap on the floor up before putting the tile down. the moisture in the concrete the better. Also stay away from cheap products. I have had great luck with Sherwin Williams. You may pay a little more but its a good product. Hope this helps!